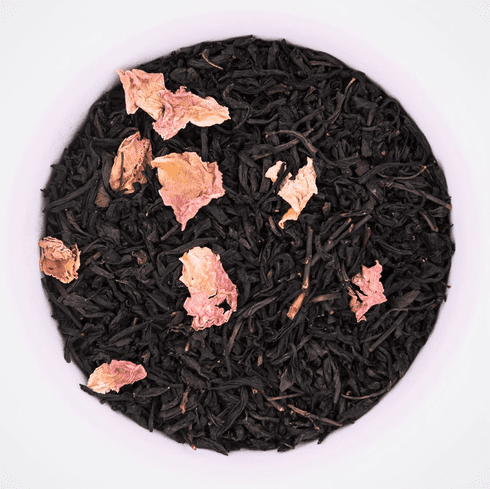 Rose Black Tea is made from Black Tea which has been scented with rose petals. When brewed this tea has a reddish-brown hue. Its taste and aroma is malt sugar-like with a light rose and floral undertone. The aftertaste is nice and clean The water used to steep this tea should be at the boiling point, 212�F (100�C). Use about 2 teaspoons (3 grams) of tea leaves for about every 5 ounces (150 milliliters) of water. A steeping time of about 3-5 minutes with more or less time is recommended depending on the desired concentration.